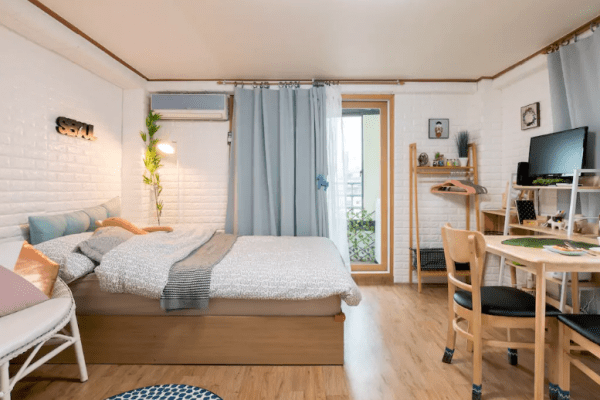 For more updates, remember to Like us on Facebook or Follow us on Instagram & Twitter! 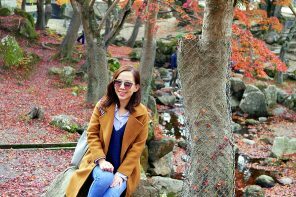 KampungboyCitygal’s 7 Days Seoul & Busan Itinerary – click here. 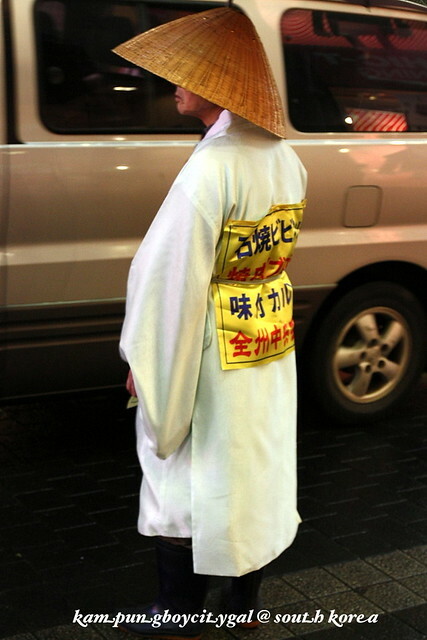 Look out for this guy in Myeongdong and you will find the best dolsot bibimbap in Seoul! 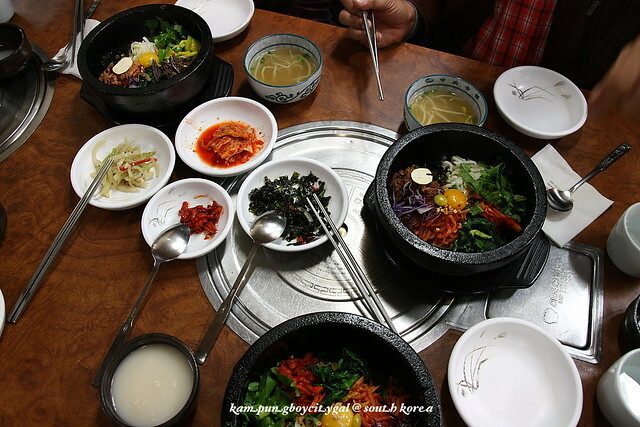 Jeonju Jungang Hoekwan (전주 중앙 회관/全州中央會館) is well known for its bibimbap, an iconic Korean dish that we are all familiar with. 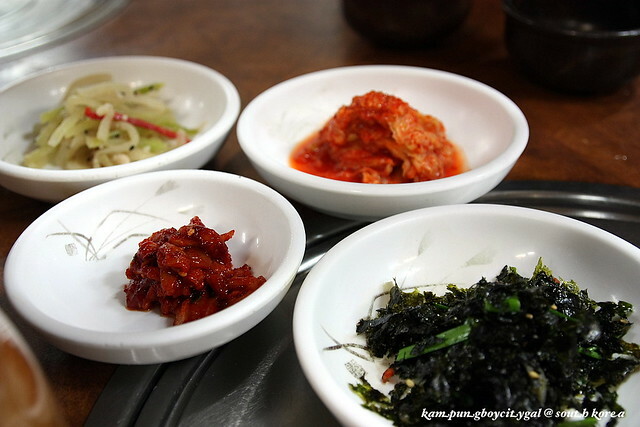 Bibimbap is essentially white rice topped with vegetables, meat, raw egg and gochujjang. One is suppose to stir all the ingredients, resulting in a bowl of red coloured mixed rice. 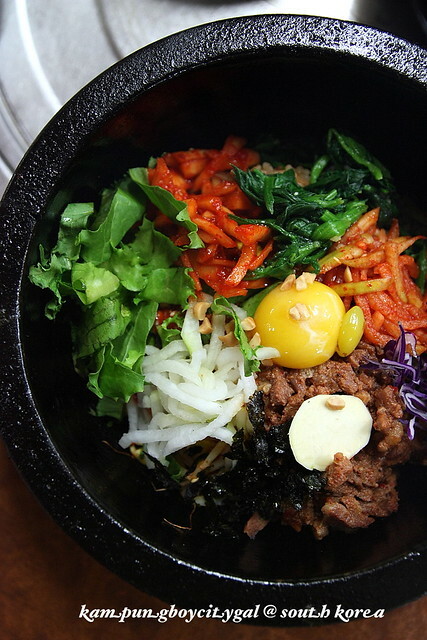 Dolsot bibimbap is even better, in which the bibimbap is served in a hot stone bowl. Bibimbap @ Jeonju Jungang Hoekwan is certainly not cheap, with price starting from 10,000 won. 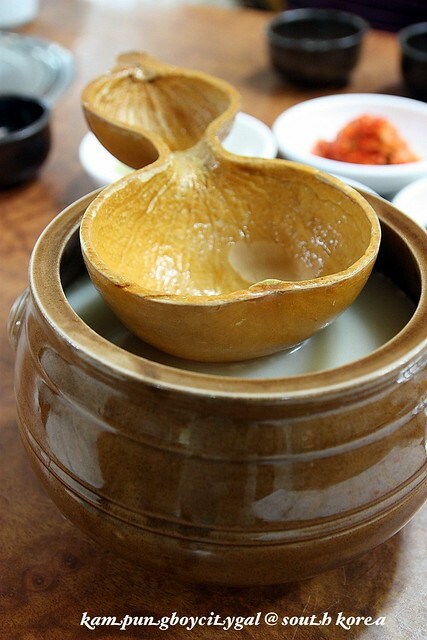 We started off with some makgeolli to warm our body as it is a cold, rainy night in Seoul. 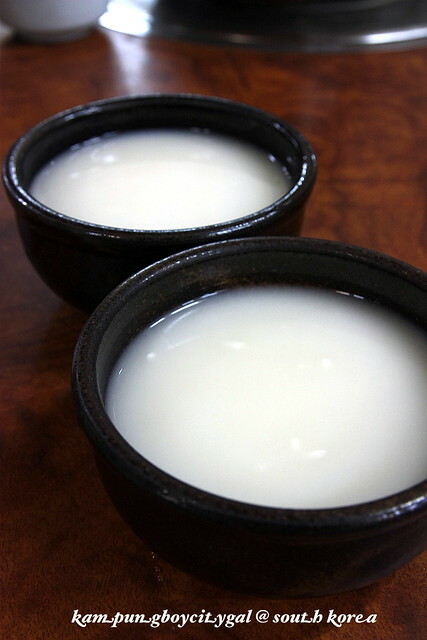 It is made from a mixture of wheat and rice, which gives it a milky, off-white color, and sweetness. We ordered three varieties to be shared amongst the four of us. 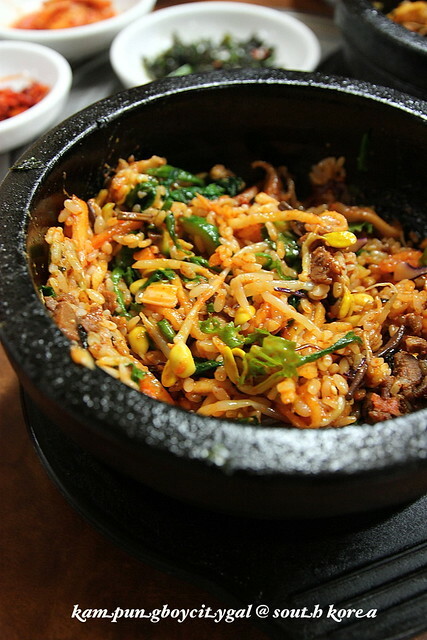 Our dolsot bibimbap came piping hot in a hot stone bowl. Purple cabbage, zucchini, shitake mushrooms, daikon, spinach, pickled cabbage, lettuce, soybeans and runny egg were being arranged beautifully, looking like an artist’s palette. 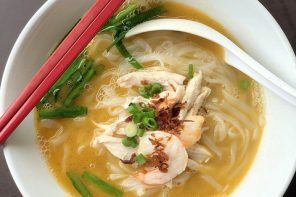 Then comes the best part – mix everything with metal chopsticks and a spoon. Let it set for about 5 minutes and voila! 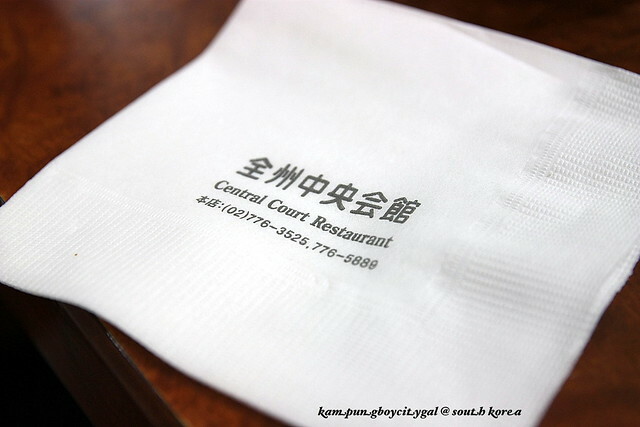 You get a bowl of very delicious mixed rice. 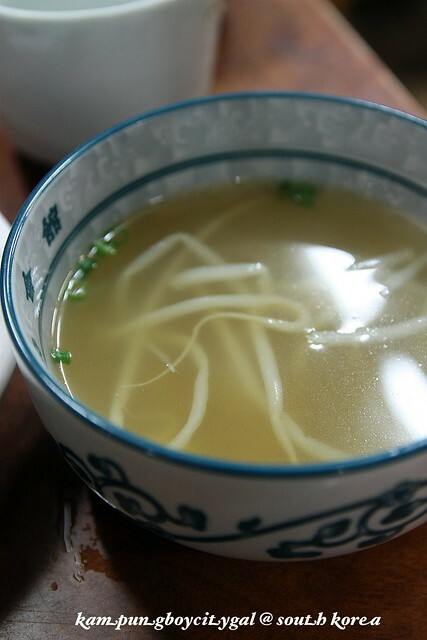 We enjoyed digging onto those crispy rice crust forming at the bottom and at the side of the hot stone bowl. 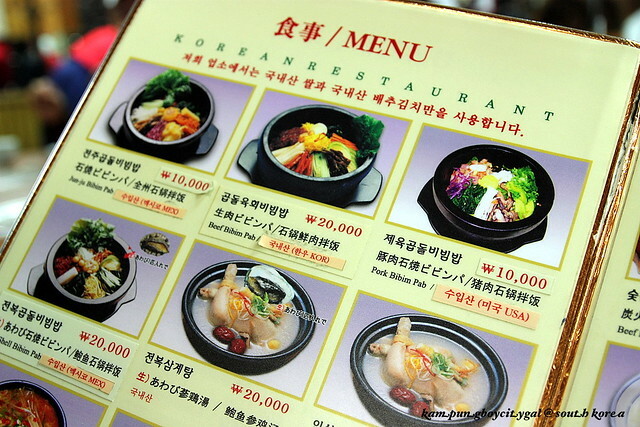 While we really enjoy the dolsot bibimbap, the pricing factor sort of deter us from recommending it to everyone. 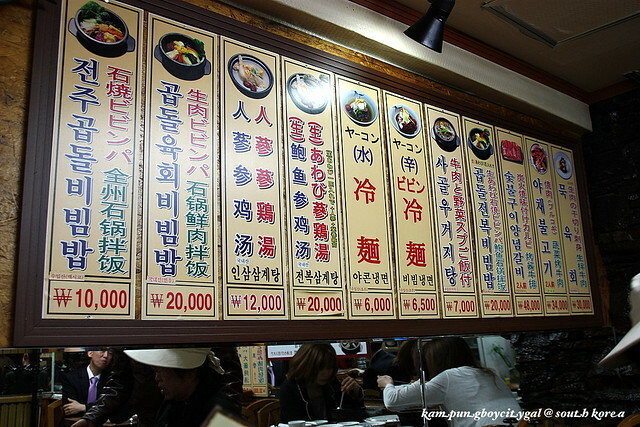 It is a misconception that average cost for meals in Seoul is high, however from our personal experience most rice/noodles dishes costs only 4000-6000 won. 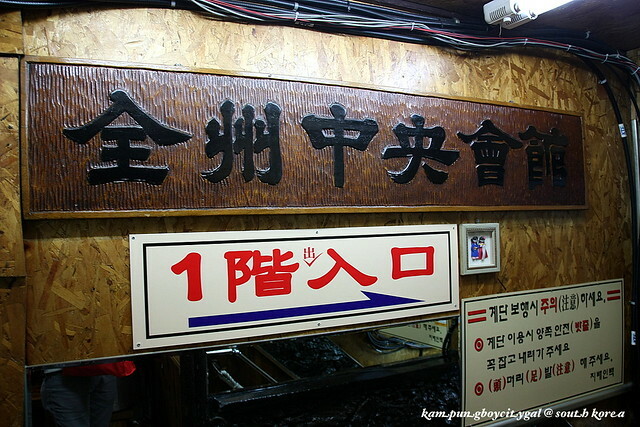 Myeong-dong Station (Seoul Subway Line 4), Exit 6. Look for Uniqlo, there’s a smoothie king next to it. Walk into the alley. 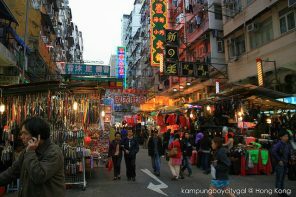 Next articleTravel on a Shoestring Budget? Here’s some Tips! 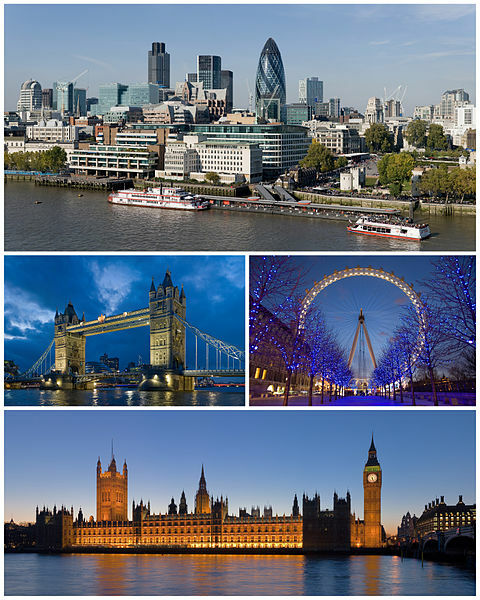 Win a trip to London during the Summer Olympics!